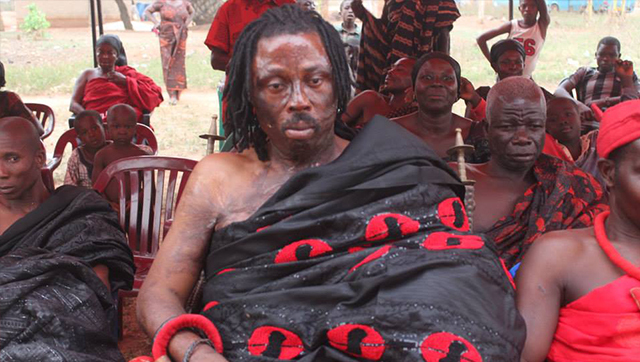 Ghanaian chief fetish priest-Nana Kwaku Bonsam seems to suggest that some politicians have spent huge amounts of cash to buy invincible dwarves who are supposed to vote for them in the upcoming elections. According to Kwaku Bonsam, as a citizen of Ghana, he’s going to monitor the elections from the spiritual realm to ensure that it’s free and fair–and by this, he will fight against any dwarf that will go from one polling station to another to vote. Speaking to Hello Fm in Kumasi, Bonsam said; while some people are seriously campaigning, others have a secret weapon–which is that they’ve purchased dozens of dwarves to tilt the elections to their corner. “Last year, my own personal dwarf-Kofi Kofi told me about how many of his friends have been hired to move from one polling station to another, voting for particular candidates. Some of these dwarves voted as much as 10,000 times and they are able to influence the elections,” he said.